Newcomen was born in 1663 in Dartmouth, England. He came from a landholding family, and, while not much is known about his youth, his letters give the impression that he was well educated. By the end of the seventeenth century, Newcomen was working as a metal worker and toolsmith in his hometown. Little else is known of this part of his life. Dartmouth was near an extensive system of coal mines from which an increasing mount of coal, largely for iron smelting, was demanded in the late seventeenth century. The mines required large pumps for water removal. Thomas Savery had designed a steam­ driven pump for that purpose. 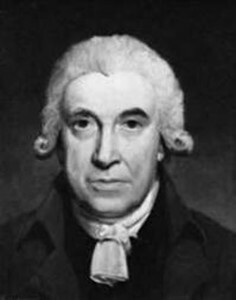 His pump was severely limited by inefficiency and technical problems; nevertheless, Newcomen based his invention on Savery’s model. Newcomen introduced his new steam engine in 1712. During the following years, Newcomen appears to have experimented (helped by assistant John Calley) with various versions of the completed, working engine. Unable to obtain a patent because Savery’s earlier patent included any machine that raises water by use of heat, he formed a partnership with Savery. Newcomen’s engine used both atmospheric pressure and low­ pressure steam to operate pistons, and jets of cool water to condense the steam. It also included automatic valves and was more efficient and less dangerous than Savery’s pump. Newcomen’s engine was adopted throughout Europe for draining mines and raising water to power water wheels. Newcomen added technical improvements to the design in 1725. He died on August 5, 1729, in London. The Newcomen engine, which played a significant role in the Industrial Revolution, was widely used in coal mines for most of the eighteenth century and served as the model for many subsequent engine designs. Coal was crucial to industrialization. At first it was used mostly to smelt iron and other metals that were used to produce various alloys with a wide range of applications. Metal had rapidly replaced wood as a stronger and longer ­lasting material for machine parts and large structures. Newcomen’s steam engine increased the amount of coal available and was partly responsible for England’s leading role in industrialization. The heaviest use of Newcomen engines was in England’s northeast coalfields; records indicate that by 1769, 98 Newcomen engines had been erected there. The steam engine took hold in continental Europe as well. It was used throughout the 1720s, with varying degrees of success, in Austria, France, and Sweden, and it was introduced to North America in 1755. In 1769 Scottish engineer James Watt was granted a patent for a steam engine that was vastly more efficient than Newcomen’s because of the addition of a separate cooling condenser. Watt’s innovations widened the range of the steam engine’s industrial applications, and his engine gradually replaced Newcomen’s (although a few Newcomen engines operated into the twentieth century). Later improvements on Watt’s model led to high­ pressure steam engines, which led to the invention of the steam locomotive in the early nineteenth century.